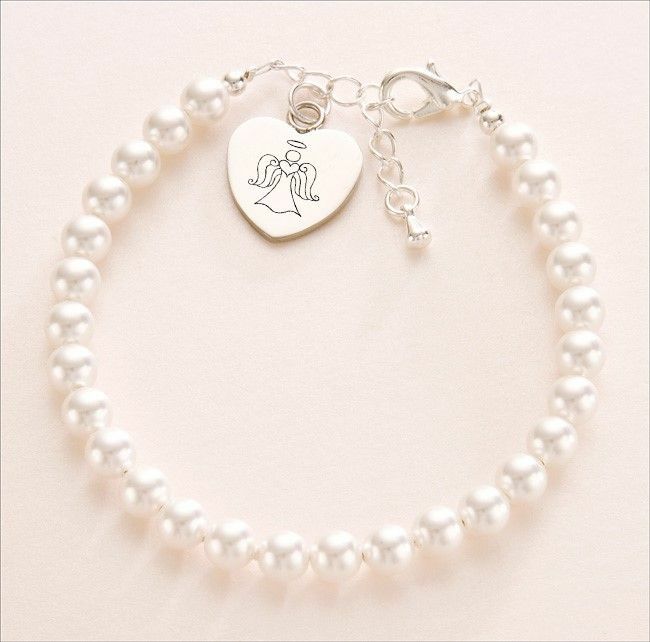 Engraved Angel on Heart Bracelet with Pearls. Custom made, personalised sympathy gift. Made with a genuine Swarovski pearls in your choice of colour. The engraved heart is stainless steel. Engraving of your choice is included on the charm! You can have the angel engraved as shown or your choice of words on one or both sides. All engraving is included in the price, up to 25 characters per side, including spaces. Part of our range of remembrance jewellery gifts for offering comfort to someone who is grieving.